The Texas A&M University System is part of an alliance that was awarded a lucrative contract to manage and operate Los Alamos National Laboratory, the birthplace of the U.S. atomic bomb. The U.S. Department of Energy, headed by A&M alumnus and former Texas Gov. Rick Perry, announced Friday that a five-year contract has been given to a limited liability company called Triad National Security, which consists of A&M, the University of California System and Battelle Memorial Institute, a research and development organization. The University of Texas System also bid for the contract, which is worth an estimated $2.5 billion a year and can be extended for five one-year increments following the five-year base period. The New Mexico lab's current management contract expires at the end of September but will be adjusted to allow for a four-month transition period, according to the Energy Department's news release. “We are committed to building on the legacy of world-class research, unparalleled innovation, and service to public good that have been the hallmark of the laboratory since it was founded in 1943,” A&M System Chancellor John Sharp said in a statement. He said Triad couldn't provide additional information until the transition begins. 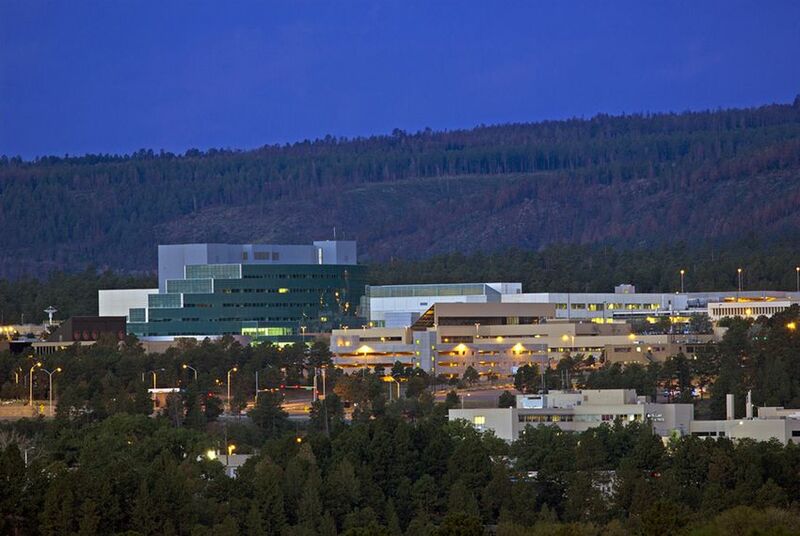 A prominent federal lab facility that employees more than 11,000, Los Alamos is overseen by the Energy Department's National Nuclear Security Administration and houses radioactive and weapons-grade nuclear materials. The lab is currently operated by a consortium that includes Bechtel Corporation and the University of California, which has been involved in running the lab since the 1940s. But low performance marks and a string of safety concerns led up to the National Nuclear Security Administration's announcement that they'd solicit new contractors. Lisa Gordon-Hagerty, undersecretary for nuclear security, said in a news release that she's "confident that Los Alamos’ world-class workforce will continue to answer the nation’s call under the direction" of Triad. “For 75 years, Los Alamos National Laboratory has been at the forefront of scientific and technological innovation to enhance our national security,” Gordon-Hagerty said. “The lab will continue to be a critical resource to ensure the future safety and security of the United States as we begin work on new endeavors, like the effort to recapitalize our plutonium pit mission." Bechtel lost out on the contract, which it had bid for in partnership with Purdue University. The University of Texas System also submitted a bid – at a cost of $4.5 million – and turned down an offer to partner with A&M. David Daniel, the UT System's deputy chancellor, said in a statement Friday: "We offer our best wishes to the NNSA’s chosen contractor and thank our Board of Regents and numerous others who supported this endeavor. We are honored to have been among the finalists for the role." A&M, the University of California and Battelle also run Lawrence Livermore National Laboratory in California with other partners. Disclosure: The Texas A&M University System and the University of Texas System have been financial supporters of The Texas Tribune, a nonprofit, nonpartisan news organization that is funded in part by donations from members, foundations and corporate sponsors. Financial supporters play no role in the Tribune's journalism. Find a complete list of them here.